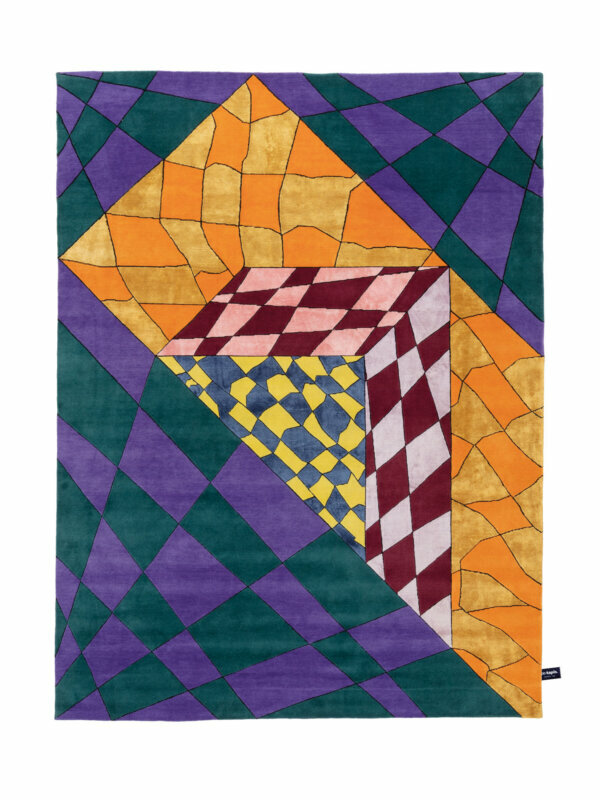 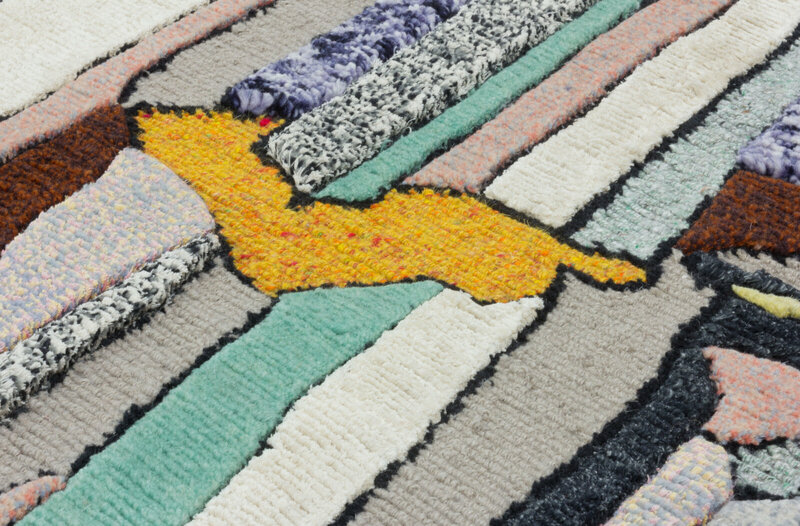 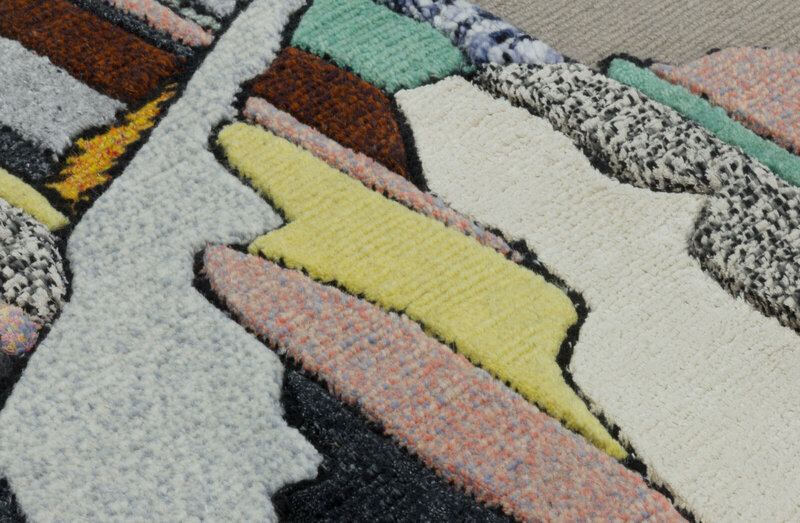 "each layer or facet is represented by a variety of beautiful rug-making techniques which have been developed over centuries by Tibetan artisans." 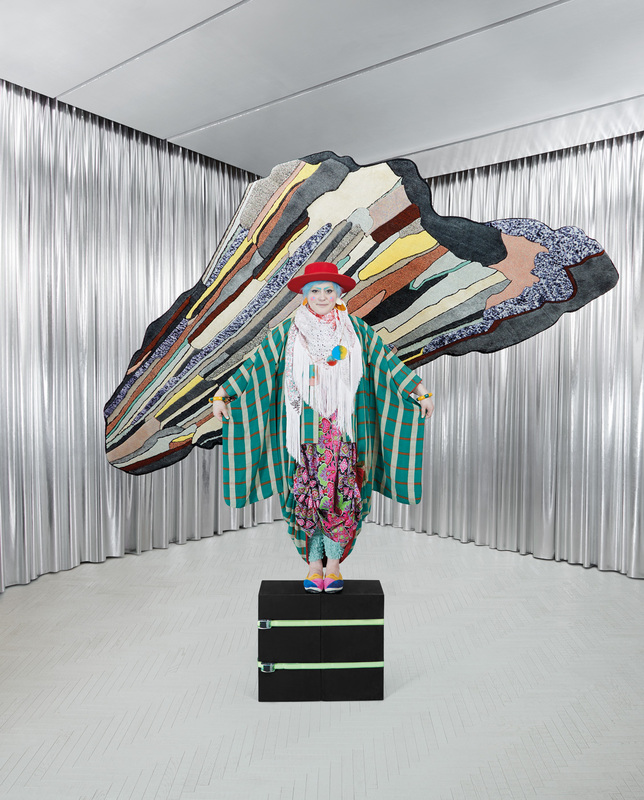 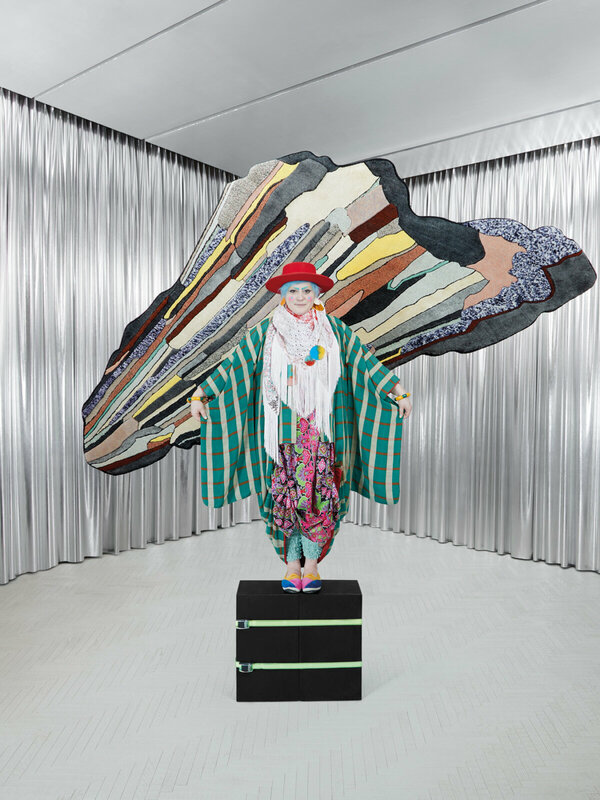 The Super Fake Collection designed by Bethan Laura Wood. 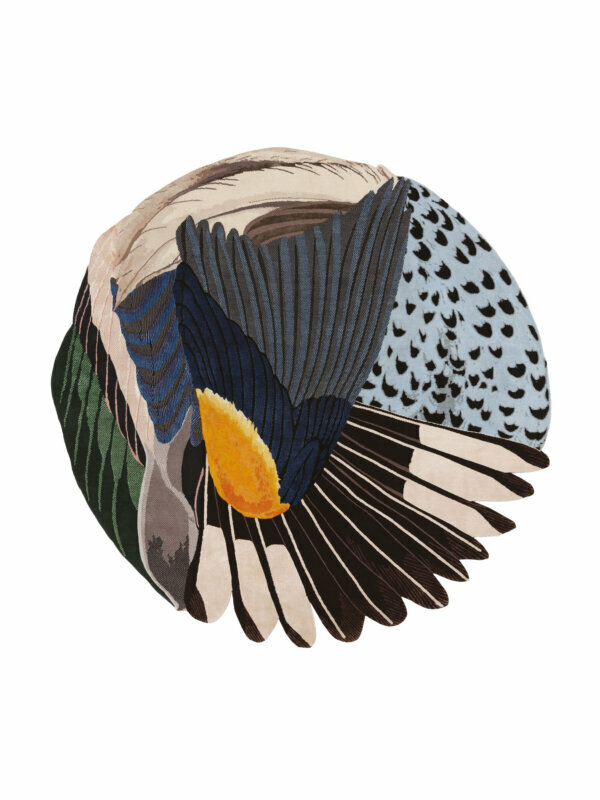 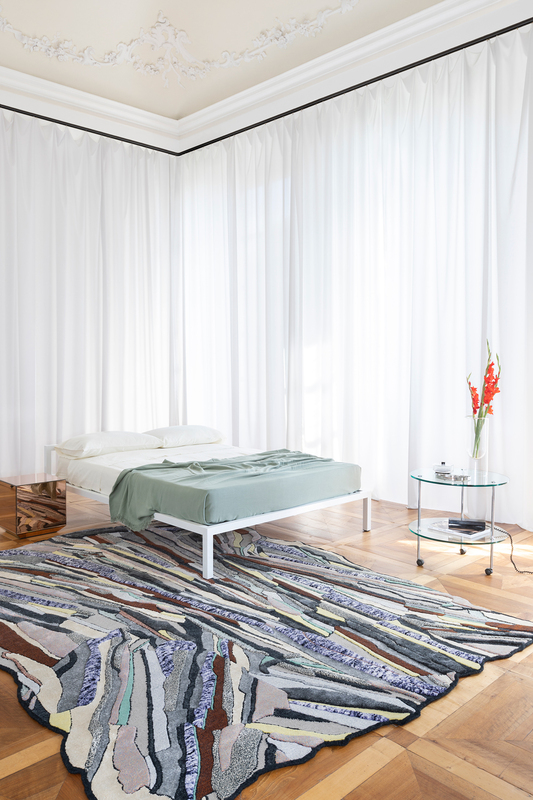 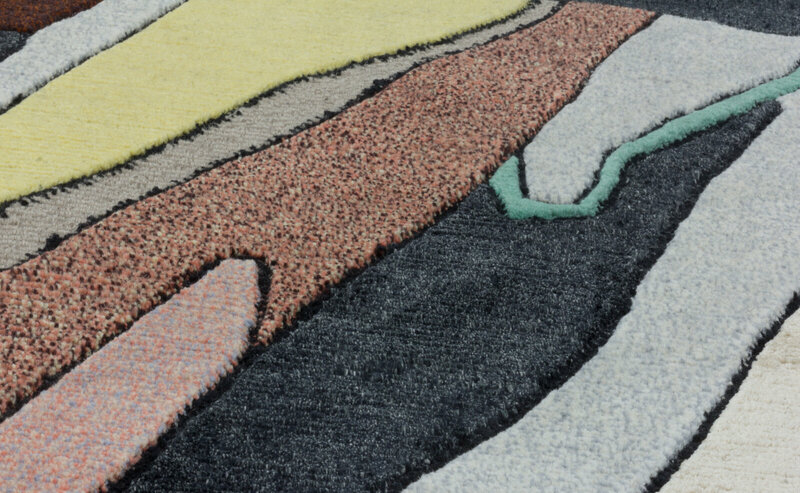 A series of rugs inspired by the collision of the man-made with nature. 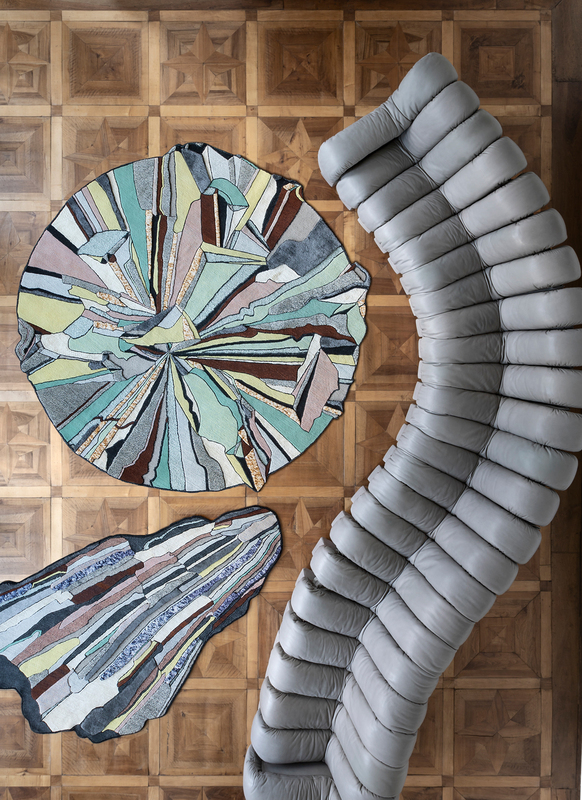 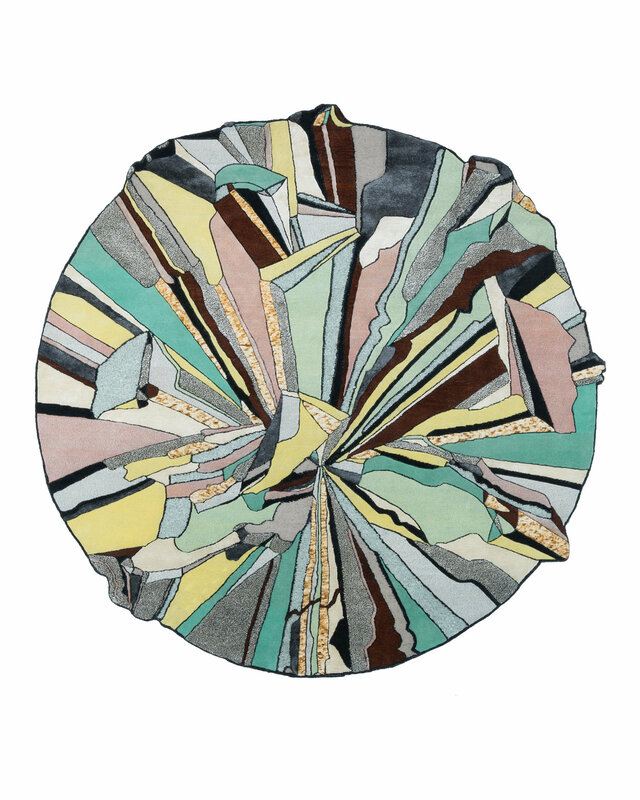 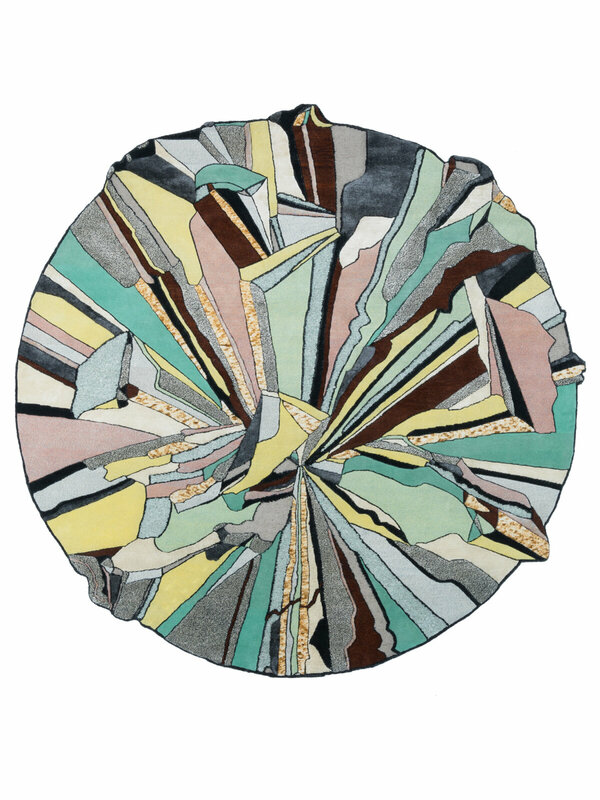 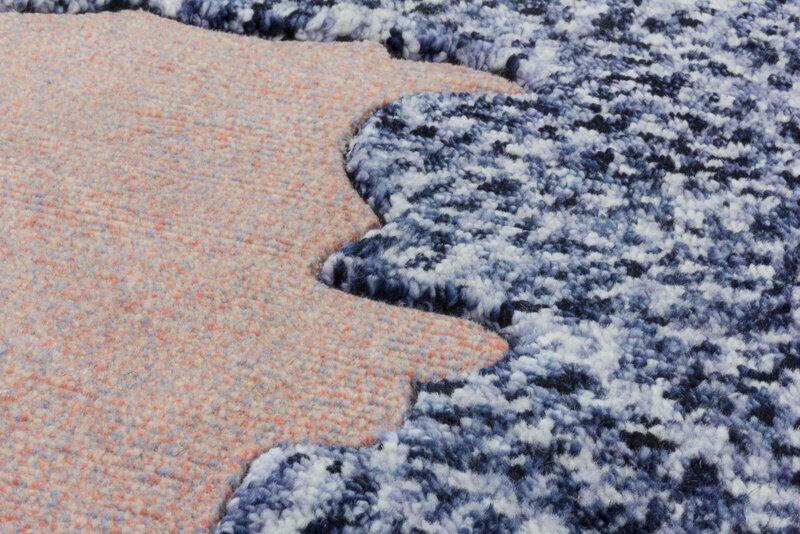 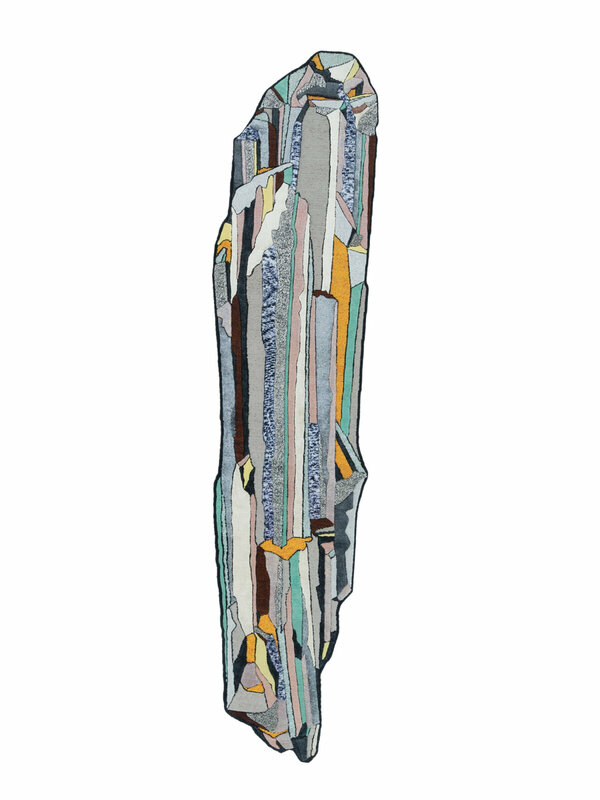 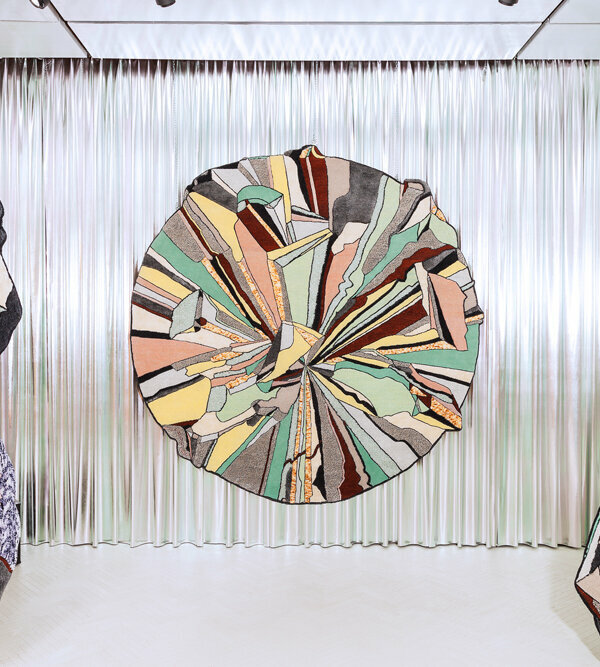 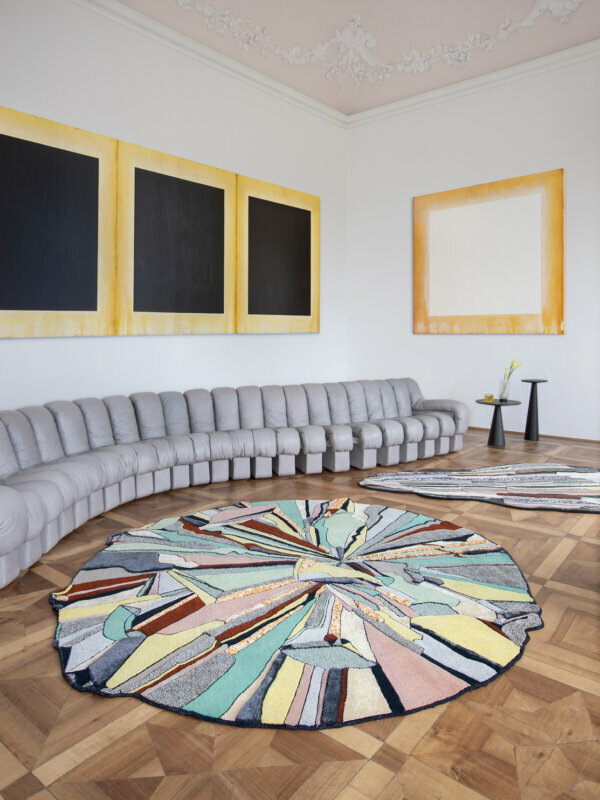 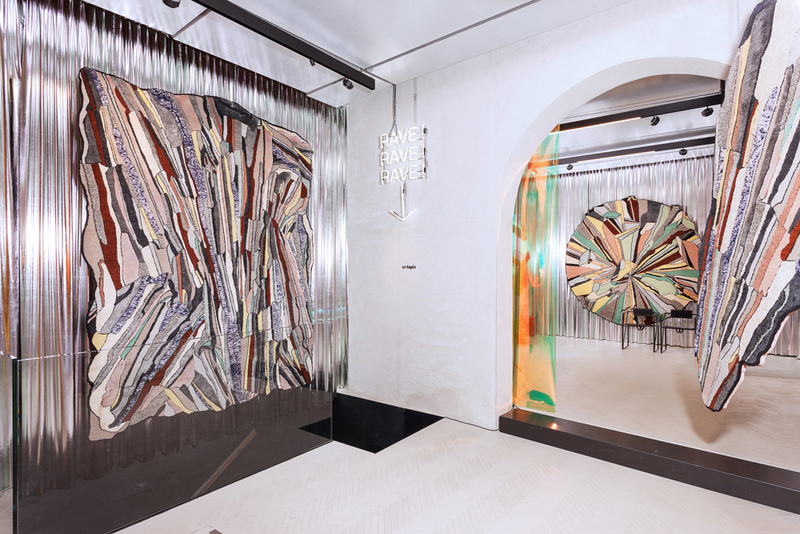 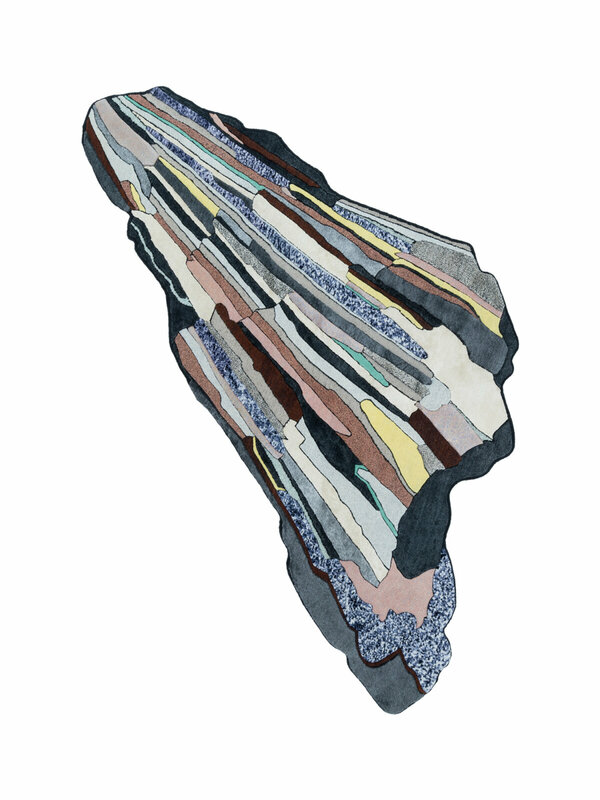 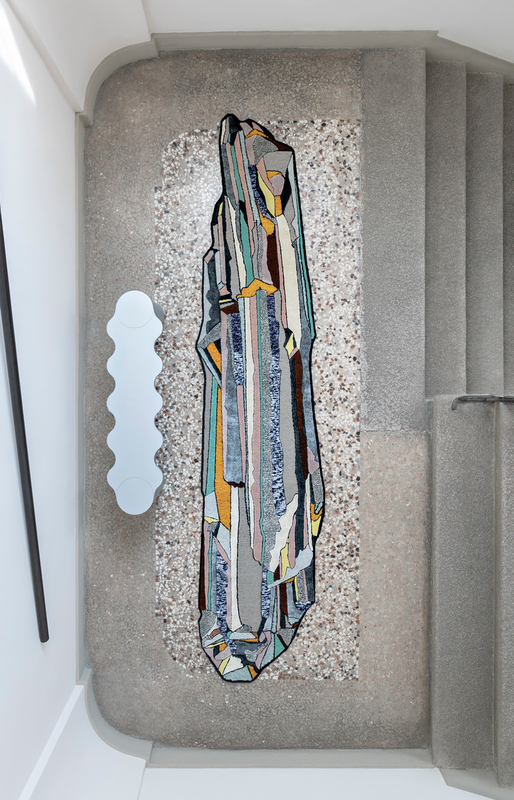 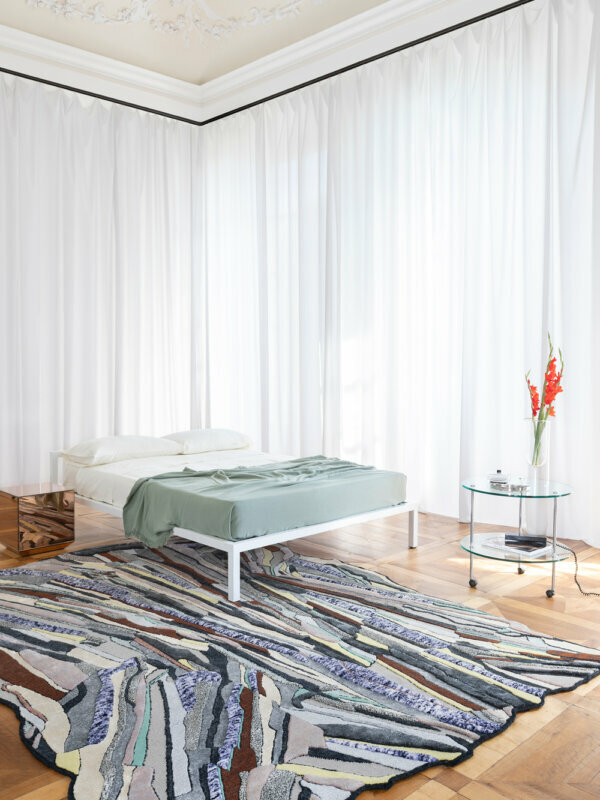 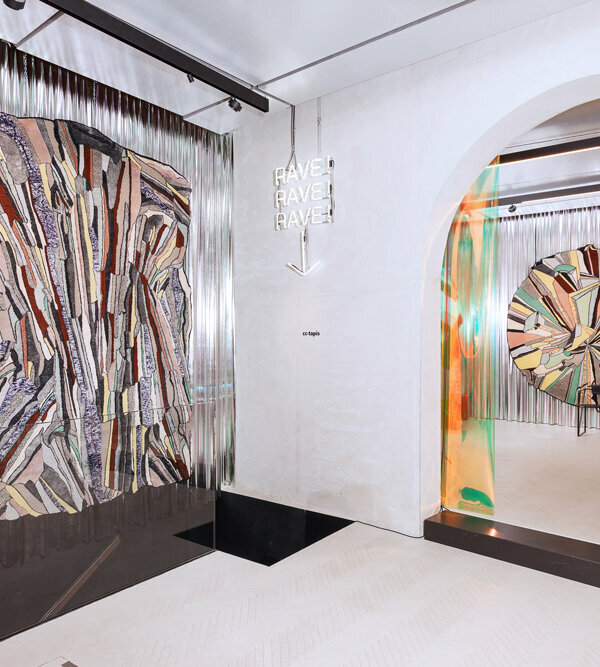 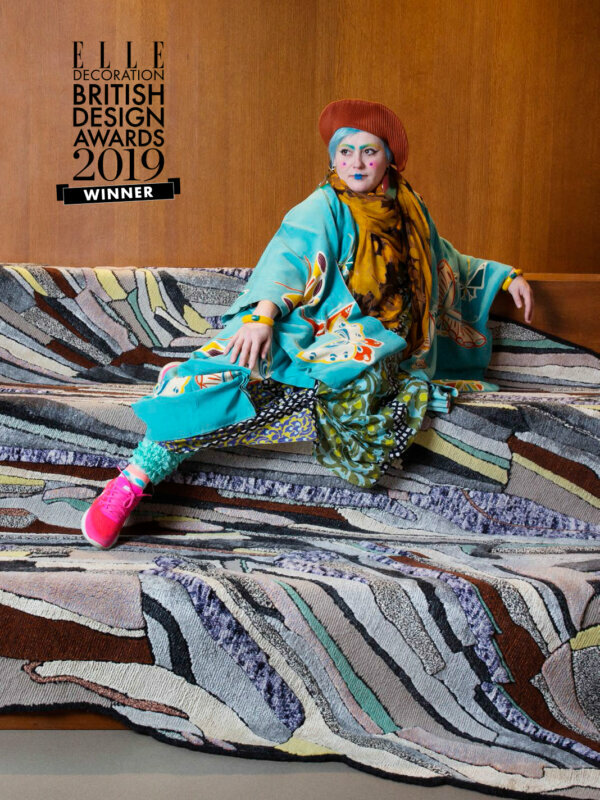 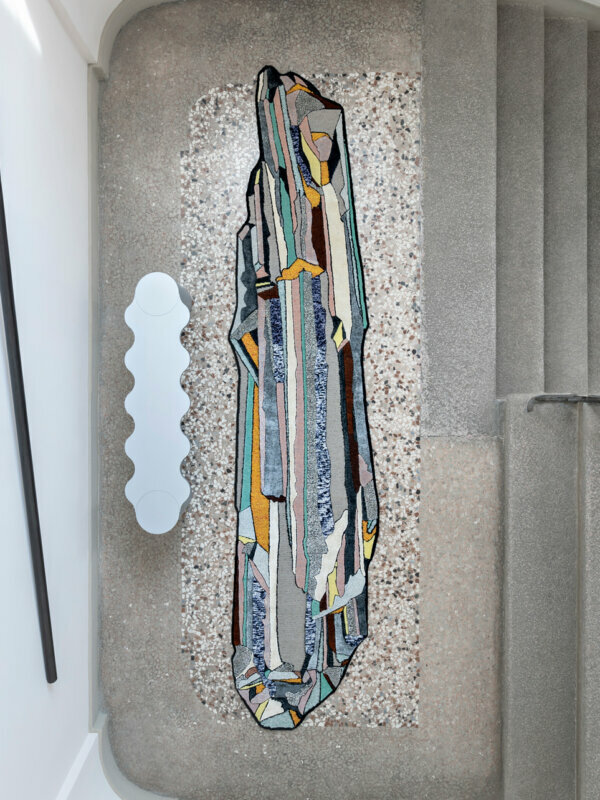 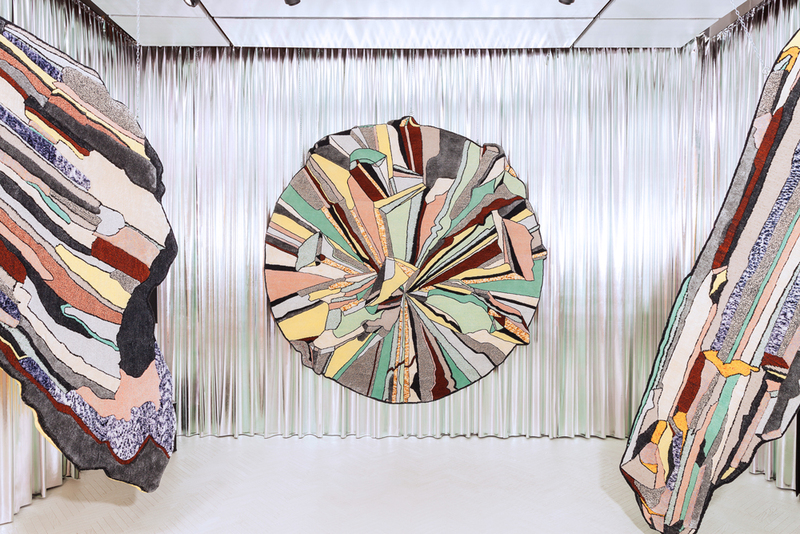 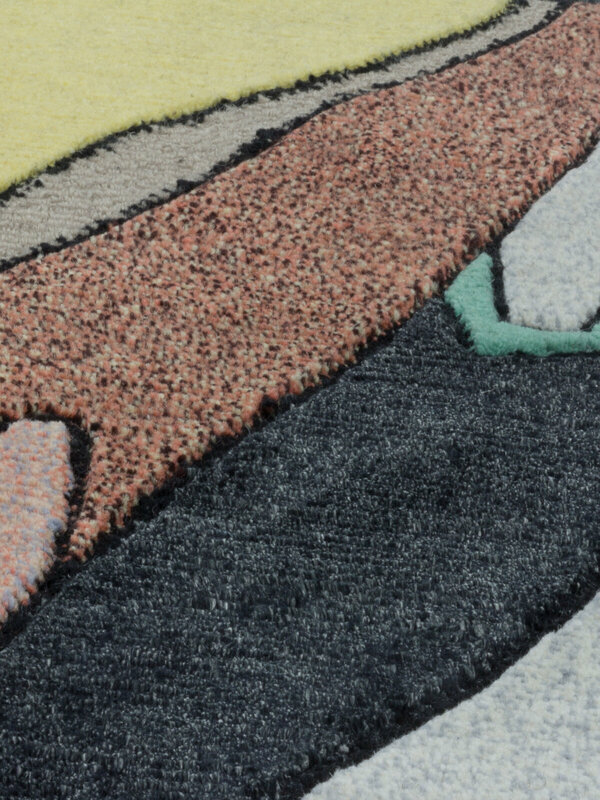 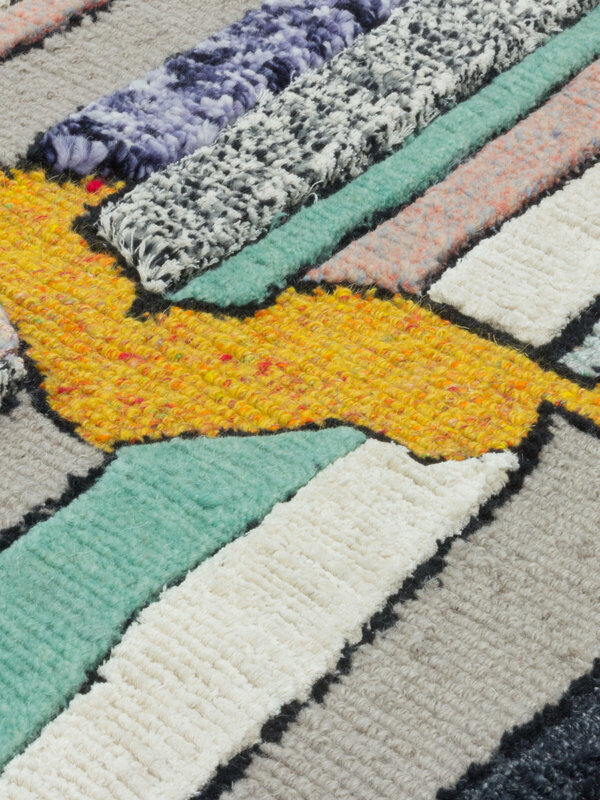 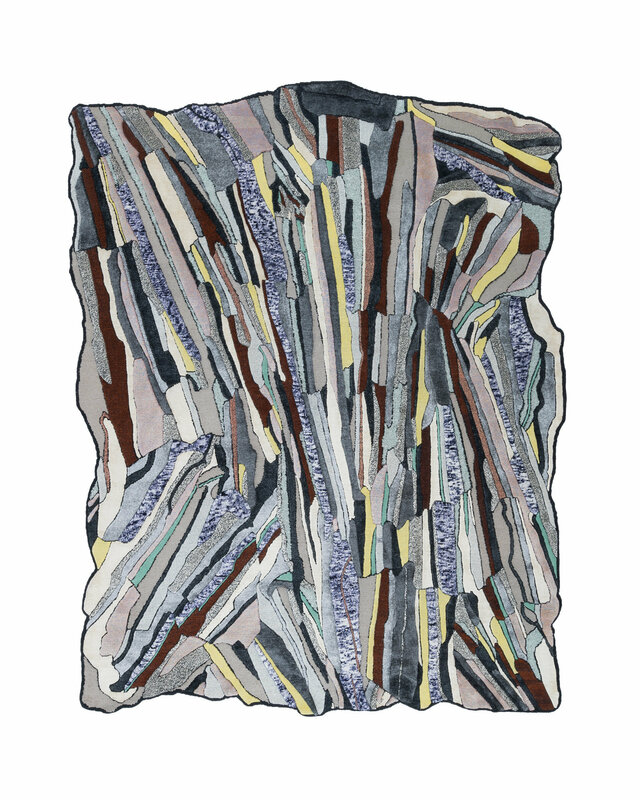 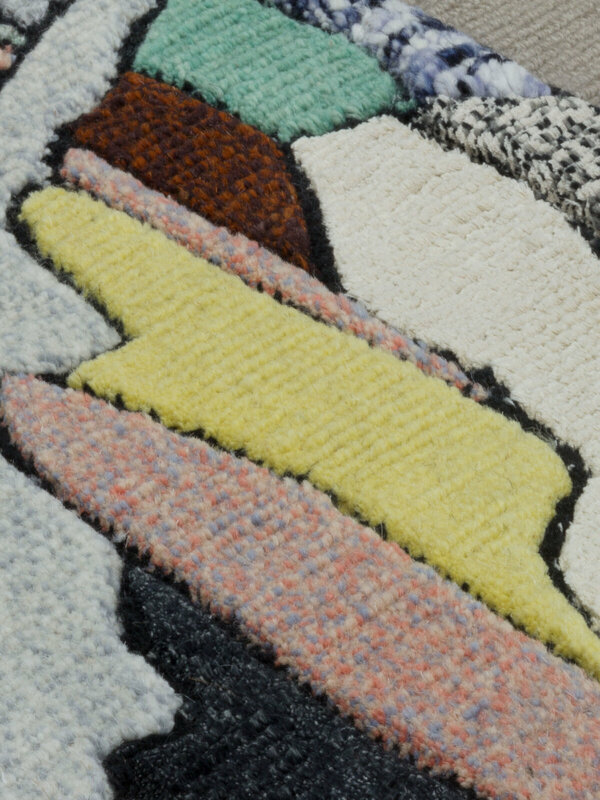 Each based on a different rock form, whose surface patterns are created through the organic build-up of sediment through time and a combination of materials under pressure; In these rugs each layer or facet is represented by a variety of beautiful rug-making techniques which have been developed over centuries by Tibetan artisans. Bethan uses the rock as a reference to explore the post-Instagram and ‘snap chat world, where the fleeting two-dimensional image, collide with a physical and tactile reality, the hyper-, and super-, fake spill into our daily lives. 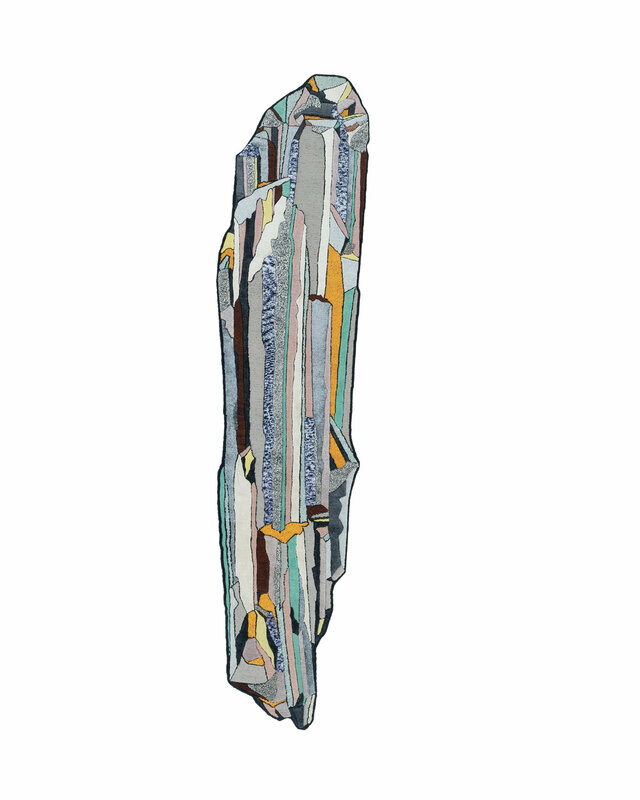 Rocks and crystals have always symbolized a very physical reality of nature; when something is ‘set in stone’ it is a mark of permanence. 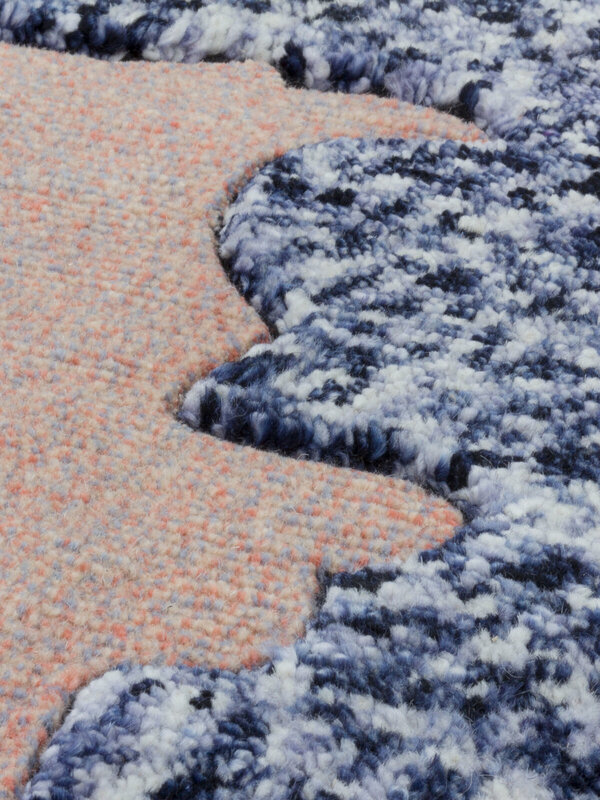 With this series, Bethan hopes to create rugs that connect and hold permanence in our fast-paced world, by imagining a visual landscape that allows us, through its detail and dynamism, to lose ourselves and dream.